Data retention for the US? Telstra had signed an agreement more than 10 years ago to store electronic communications between Asia and America for the US Government and intelligence agencies, according to leaked document. The leak follows the revelation of the Prism project and the US National Security Agency admitting that it is able to collect user data from companies like AOL, Apple, Google, Facebook, Skype, YouTube and Yahoo. The agreement was signed in 2001 by Telstra, Pacific Century CyberWorks and their joint global cable company Reach, as well as the Federal Bureau of Investigation (FBI) and the US Department of Justice (DOJ). Under the agreement, the US DOJ and FBI demanded Telstra provide technical assistance to enable electronic surveillance, while the telco was to also required to route electronic communications to a US storage facility for surveillance by US authorities. The information stored involved any form of electronic communications involving customers contacting someone in the US. The type of information included email contents, call "associated data", online messages, transaction data, subscriber information and billing records. Greens Party Senator Scott Ludlum has called upon Telstra to disclose all the details of the agreements immediately. "Telstra, at the time majority owned and controlled by the Howard Government, struck a deal to allow 24/7 surveillance of calls going in and out of the United States, including calls made by Australians. "The cables in question are operated by Telstra subsidiary Reach, which controls more than 40 major telecommunications cables in the region, including cables in and out of China and Australia," he said. "The deal also compelled Telstra, Reach and PCWW to provide any stored communications and comply with preservation requests; to provide any stored meta-data, billing data or subscriber information about US customers; to ignore any foreign privacy laws that might lead to mandatory destruction of stored data; and to refuse information requests from other countries without permission from the United States." He added that the deal also allowed FBI and US DOJ officials to conduct inspection visits of Telstra and Reach's offices and infrastructure. "This is an extraordinary breach of trust, invasion of privacy, and erosion of Australia's sovereignty." 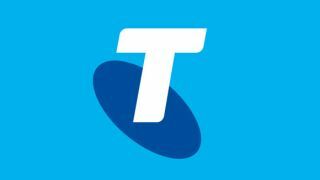 A statement received from Telstra claims that the agreement signed back in 2001 was simply Reach following the rules in order to be able to operate in the United States. "This Agreement, at that time 12 years ago, reflected Reach's operating obligations in the US that require carriers to comply with US domestic law," the statement read. "It relates to a Telstra joint venture company's operating obligations in the United States under their domestic law. We understand similar agreements would be in place for all network infrastructure in the US." "When operating in any jurisdiction, here or overseas, carriers are legally required to provide various forms of assistance to Government agencies."